Sometimes where you use a flight simulator is just as important as how you use it. For the JROTC cadets from Vista High School, that meant gutting a Cessna 182 cockpit and installing a Redbird TD2 as the new cockpit simulator’s controls and visual and instrument system. The project began in November of 2016 when our program received the salvaged aircraft from the Civil Air Patrol. Students worked during class and outside school hours to completely remove all the mechanical, electrical, and hydraulic components of the airplane. To prepare the fuselage for installation of the Redbird TD2, students also made repairs to the aircraft and put their skills in sheet metal fabrication to the test. Redbird followed our progress and provided technical support as we completed the custom design. In total, this stage of the project lasted 18 months and demonstrated the students’ proficiency in mechanical and sheet metal work, welding, simulator component installation, and interior design. It also challenged them with soft-skill centric tasks such as partnership creation and funding acquisition. As the project progressed, we were able to form a number of valued partnerships with organizations across campus and in the local community. Even the U.S. Army and U.S. Air Force donated to the project. The results of the build have been fantastic. 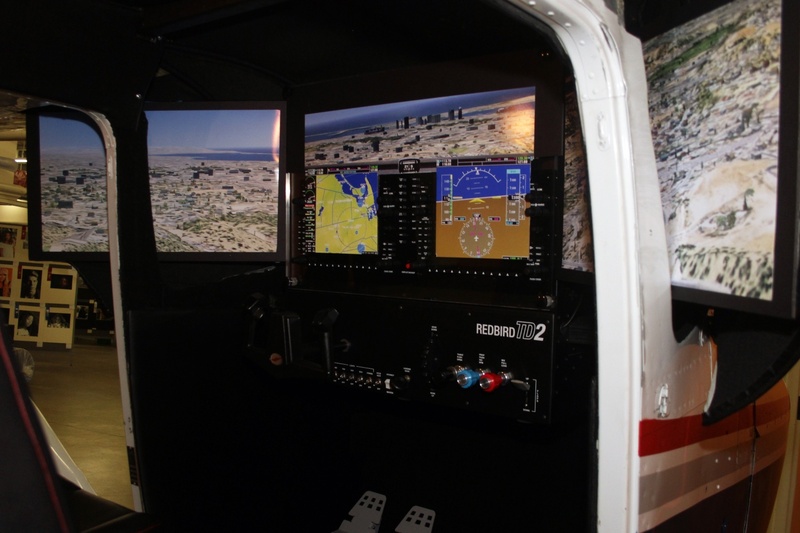 In June of 2018, our students entered the completed simulator in the San Diego County Fair Student Showcase and earned First Place and Best in Class awards. More importantly, though, the collaborative, project-based approach to learning has led to a better understanding of classroom instruction and has helped the performance of underprivileged, special education, and at-risk students. As a result of the project, our students have been able to improve their science, math, and reading abilities as well as expand their knowledge of military, civilian, and aviation careers. This summer, our program will graduate 15 students, our largest class to date. This will be the first class to graduate with Part 107 Commercial Small Unmanned Aircraft Systems (sUAS) Certificates. One of our students, Cadet Jacob Birst, also has been selected by the Air Force for the Chief of Staff of the Air Flight Academy Scholarship program this summer. He is one of only 150 cadets selected for this prestigious program. 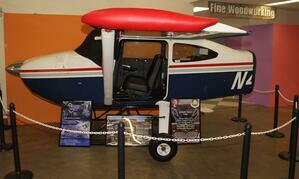 The capstone event for our students is a one-hour flight in a Civil Air Patrol Cessna 182. So far, 72 cadets have taken flight. Prior to the flight, cadets are able to flight plan and fly their mission in the simulator. Suffice it to say, they’ve all been very well prepared. Colonel (Ret.) Vincent J. Lostetter Jr., serves as the Air Force JROTC Senior Aerospace Science Instructor at Vista High School in Vista, California. Colonel Lostetter received his commission from the U.S. Air Force Academy in 1989 with a Bachelor of Science Degree in Human Factors Engineering. He is a graduate from Air War College and is an alumnus of the Israel National Defense College and Haifa University. He has served as the Vice Commander, 7th Bomb Wing, Dyess Air Force Base, Texas. He served as second in command of the largest B-1 wing in the Air Force, providing combat-ready B-1 aircraft, aircrews, combat support and expeditionary Airmen for global engagement taskings. He also served as Commander, 71st Operations Support Squadron and Chief, Current Operations Division, Joint Staff, Pentagon, Washington, D.C.